Hotondo Homes is an established, family-owned business and one of Plantation Palms’ most trusted builders. Independently-owned and operated by local builders, Hotondo Homes combines local knowledge of areas, styles and regulations with the affordable pricing and range of home designs of a large building network. Hotondo Homes brings you the best of both worlds, giving you the expertise and customer service of a local builder, with the resources of a large building company. 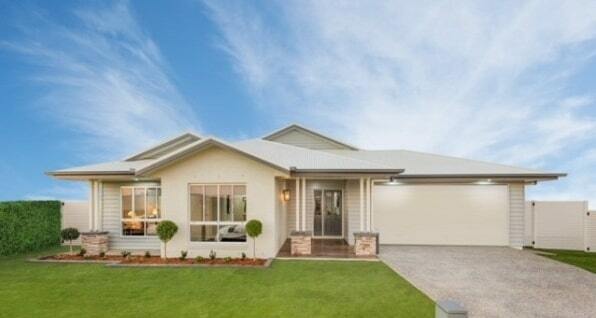 It’s this union of desirable features that has made Hotondo Homes a trusted name in home building throughout Australia, and a popular choice for those who want to make their home in Plantation Palms. Hotondo is well-known for its wide selection of house designs, from contemporary townhouses to heritage-inspired new homes. Land situated on a sloping block? A narrow block? Not a problem. Hotondo has house designs suitable for every budget, type of block and style preference, making design-selection a breeze. As a family-owned business, Hotondo Homes knows what makes a truly great family home. Even with their wide reach and large network, they stay true to the philosophy of making high quality, wonderful homes that families will want to live in forever. And situated in the beautiful and conveniently-located Plantation Palms, you’re sure to have the home of your dreams. Take the first step in making your dream home a reality. Visit Hotondo Homes Display Home at 47 Palmetto Crescent, Plantation Palms or call Plantation Palms today on (07) 4954 9700.